Lama Zopa Rinpoche at Jamyang Buddhist Centre, London, UK, 2014. Photo by Ven. Thubten Kunsang. 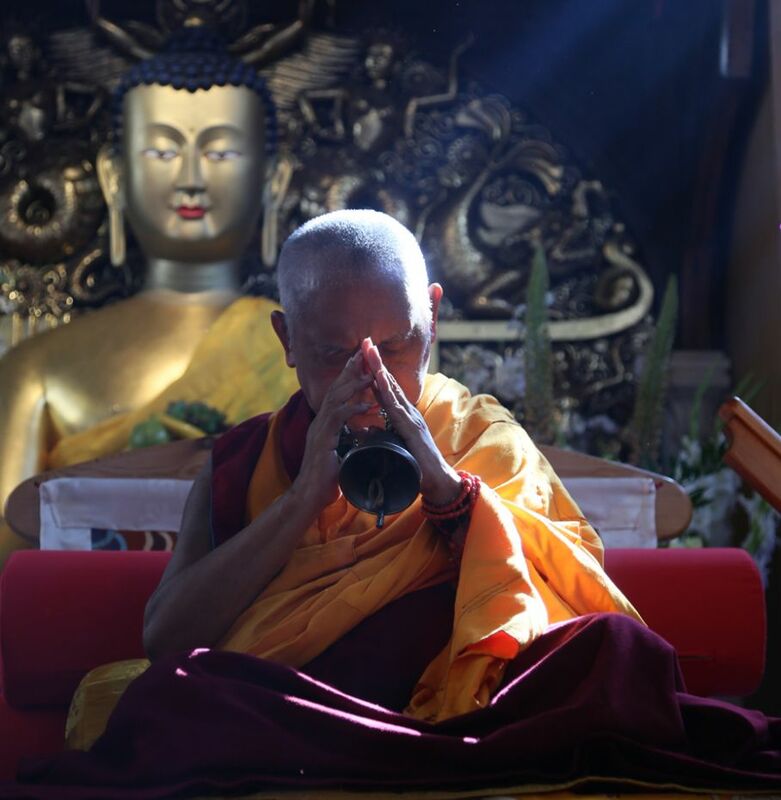 Lama Zopa Rinpoche sent a special video message to Jamyang Buddhist Centre in London, describing the importance and benefit of having a Dharma center. Rinpoche’s message was in honor of Jamyang’s fortieth anniversary, which was marked with two days of events in October. The celebration included an evening remembering Lama Yeshe, the launch of the Cafe at Jamyang’s cookbook, a presentation on the history of Jamyang, cake, a group photo, and a look toward the center’s future. In the video, Rinpoche thanks all the people who have helped Jamyang exist over the years. Rinpoche also explains how FPMT centers can bring peace to the world by teaching people about compassion and how to develop a good heart.